“Being so isolated, servicing our banking needs can be tough. Thankfully, First National Bank Alaska is there to help us at every turn,” said Tracy Cooper, General Manager of the Native Village of Unalakleet. When you think of business banking, what comes to mind? An up-and-coming startup trying to get off the ground? A medical office that needs funding for its newest practice? A landlord setting up an escrow account to collect rent? For Tracy Cooper, general manager of the Native Village of Unalakleet, business banking means taking care of an entire community. 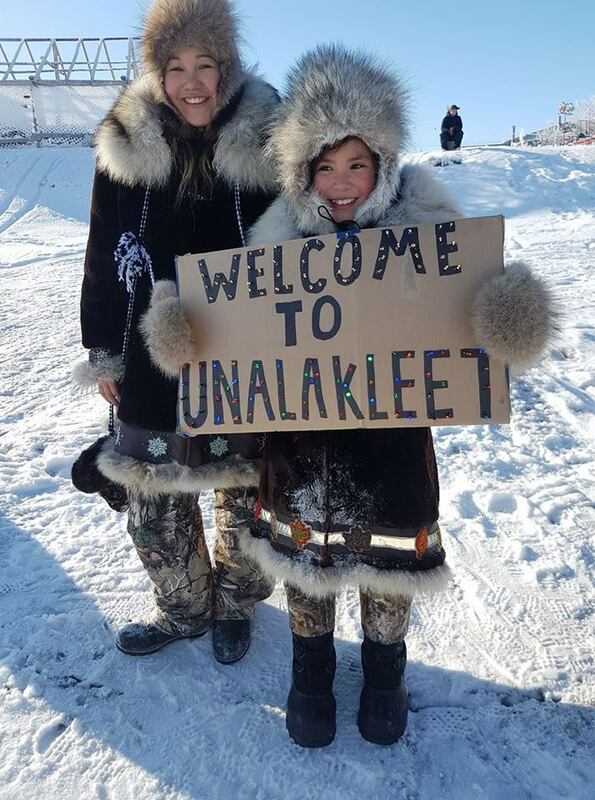 A village of roughly 750 people tucked away in Western Alaska, Unalakleet is led by Cooper and the tribal council, known collectively as the Native Village of Unalakleet. “We provide homes for elders and people who experience disabilities, build and maintain multiple facilities for the community, handle transportation projects, and secure funds to improve things that people need,” said Cooper. Established in 1934, the council has been proactive in fulfilling its mission. The Native Village of Unalakleet opened its first account with First National 30 years ago, and chose the bank as its sole financial institution in 2010, dissatisfied by the customer service they received elsewhere. “At First National, you’re not just another person on the call list,” said Cooper. Last year, Main Branch’s Tyler Voge became the relationship banker for Tracy and the council. Though Voge, based out of downtown Anchorage, and Cooper, who was born-and-raised in Unalakleet, have never met in person, the pair became fast friends after their first phone call. transfers. With Tyler’s help, Unalakleet has been able to move forward with a handful of new projects to better its community, all while modernizing their banking. The Native Village of Unalakleet uses a number of First National’s reliable online banking tools, such as Business Online Banking, ONEpay and, a favorite, e-Statements. These services have saved the council time and money, providing Tracy and her team with banking solutions no matter where business takes them. e-Statements have allowed Tracy to simplify Unalakleet’s financial recordkeeping. Now, instead of dealing with weather delays and other challenges that come with life in rural Alaska, Tracy can access her monthly statements online with the click of a button. Don’t expect Unalakleet’s development to stop anytime soon. With multiple projects in production and even more on the horizon, Tracy and the tribal council have taken big leaps toward further development. Within the past few years, the village has started construction on a new assisted-living facility for village elders, and is currently looking to use even more of First National’s many online services. “The future for Unalakleet is bright,” said Cooper. First National Bank Alaska Personal Banker Tyler Voge has built his career on hard work and dedication. Voge began his First National story in 2014, starting out in the mailroom. From there, he was promoted to a Customer Service Representative position and last year to Personal Banker at First National’s Main Branch. “I’ve been able to learn and grow so much in my time at First National,” said Voge. In his role, Voge’s primary goal is to develop and strengthen relationships with customers. From providing information on business loans to informing customers of First National’s vast online and mobile services, Voge delivers financial solutions to meet his customers’ needs. Equipped with a problem-solving attitude and a passion for success, Voge consistently finds new ways to help Alaskans grow their businesses. “It’s rewarding to know customers rely on me to take care of them,” said Voge. Last year, Voge became the relationship banker for the Native Village of Unalakleet. Voge remotely guides the group’s  nances, manages accounts, assists with bank transfers and more. It’s this attention to detail that makes a difference for Voge’s customers. With his help, Unalakleet has been able to move forward with a handful of new projects to better its community, all while modernizing the council’s banking. “At First National, we really know and care about Alaska,” said Voge.